Have you ever wondered what their secret is? Who it is that creates those amazing designer finishes you often see in the finest houses and the best glossy home magazines? Just how do designers, architects and builders of superior quality get the look that you want and desire? Hello, I'm Graham Cole. I'm an Artisan plasterer. 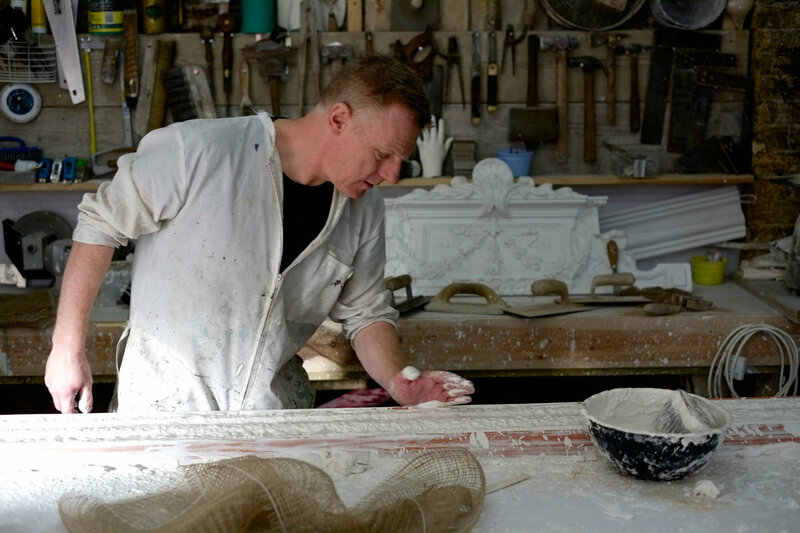 A designer, maker and restorer of fine English plasterwork since 1977. 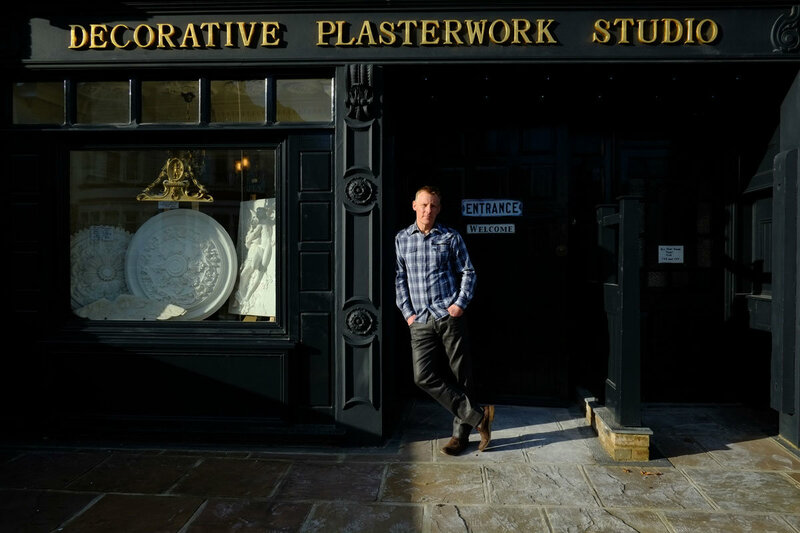 I'm the director of the Plasterwork Studio Ltd. Oh!... and let me mention that I will install, fix and finish all your plaster mouldings for you too. This means there's nothing you need to do except sit back and relax. When I'm all packed up and back in my studio you have the fun of decorating and dressing up that beautiful room you always dreamed of living in. Or, if you're too busy with other things, I can even take care of that as well, via our highly skilled decorating specialists. Thankfully the modern world still remembers and wants the quality the old ways have to offer. As our clients once again seek a more personal service, where things are still done in the time honoured tradition with a good old fashioned chat. We love talking to our clients directly and believe you will enjoy talking to us too. We can’t wait to hear all about your new project ideas. We're looking forward to your call or visit today! Schooled in the old ways of learning, at a time when skills were handed down from Master Craftsman to Apprentice. I have lived and worked as a Decorative, Plain & Ornamental plasterer for over 40yrs. With an ever growing love and passion for my work. I have long understood true essence of a trusted relationship between the client and the craftsman. For me, high standards build a great reputation and I believe reputation is everything. 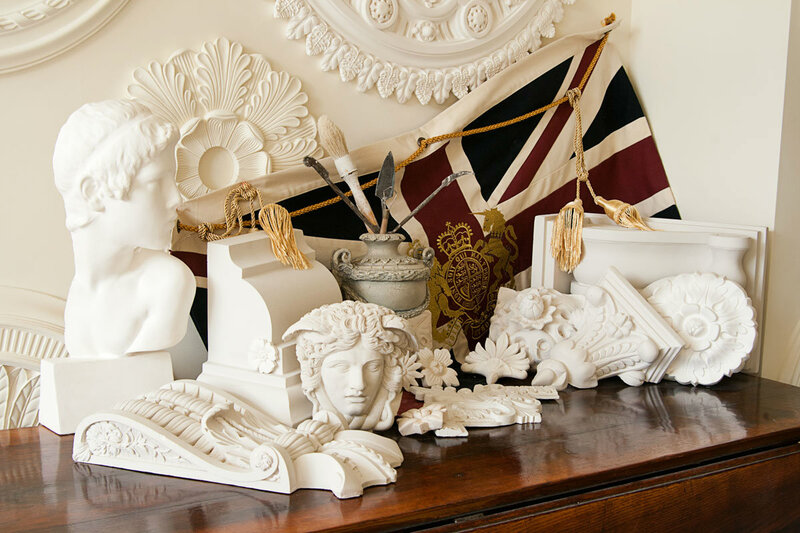 From plaster cornice and coving, ceiling roses, wall panelling, mantle pieces, decorative plaques, busts and figures we also make ornate brackets and corbels, enrichment's and an ever expanding selection of exquisite decorative plaster elements. We warmly invite you to explore and discover our wonderful collection of hand crafted interior and exterior decorative plaster designs. From classic detailing to the contemporary and modern. With hundreds of beautiful products to enjoy we encourage you to browse through our inspiring web site images. Find out more about the other extensive services we offer you or visit us at are stunning Studio Showroom. 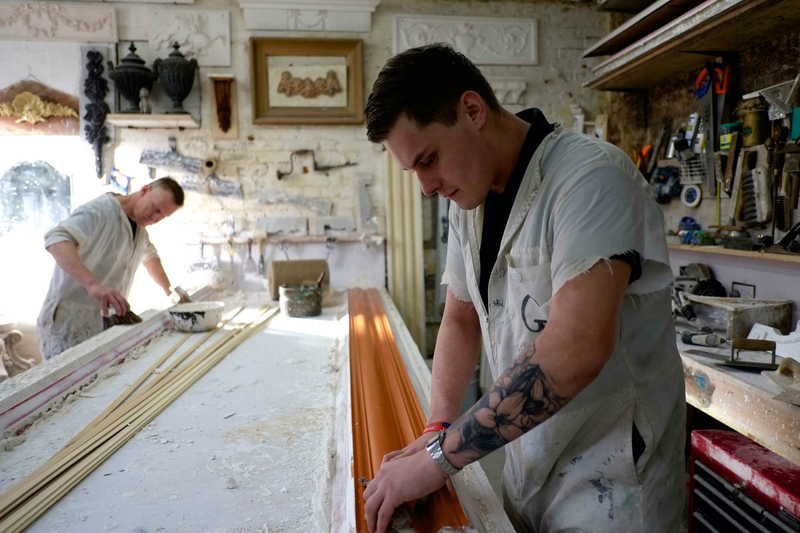 Or if you want to see just how we make our products come inside our amazing original Victorian built Studio Workshop. Our doors are always open. My specialist team of highly skilled craftsmen are an intimate part of the company. Our shared enthusiasm is the very life and sole of our success. Dedicated to you, your project and your satisfaction. 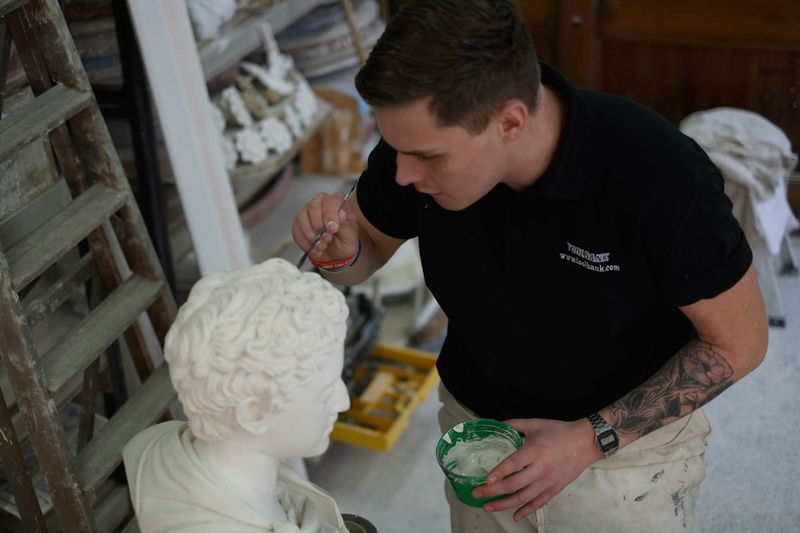 We are delighted to welcome you into the very heart of the Plasterwork Studio to witness probably for the first time the exquisite world of Interior Design as seen through the hands and eyes of the craftsman maker. Thank you for visiting our website; we are expecting your call.